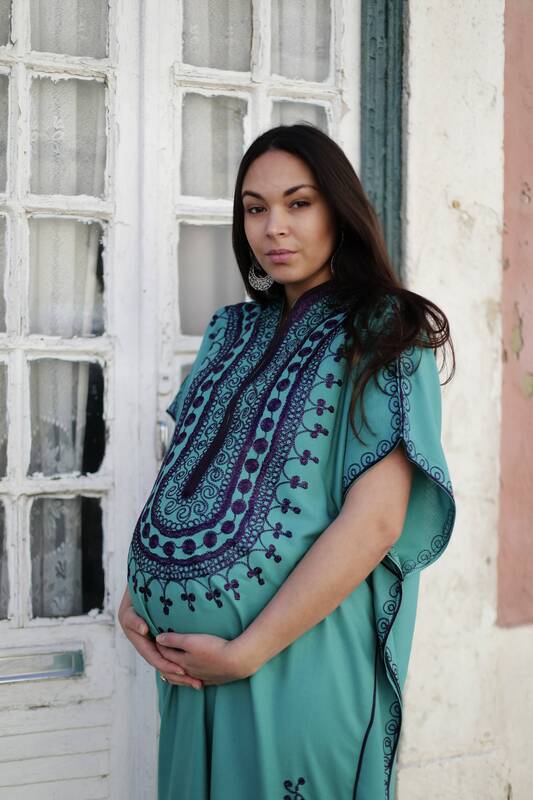 This is a part of our new Boho Berber Maternity Caftan Kaftan Series. For pregnancy, we wanted to design something exotic, elegant yet comfortable during the memorable 9 months., you can wear it at home as lounge wear, during all maternity period. As the bust is up to 130 (53 inches) You can comfortably wear this kaftan any time. Not just as a maternity kaftan, but ofcourse, it can be worn as any usual lounge wear, beach wear, as a resort kaftan. It could be worn anytime, anywear with even jeans/leggings etc. The choice is yours..
♥This caftan kaftan comes in One size (Suits S-XL , up to bust 130cm,53 inches).